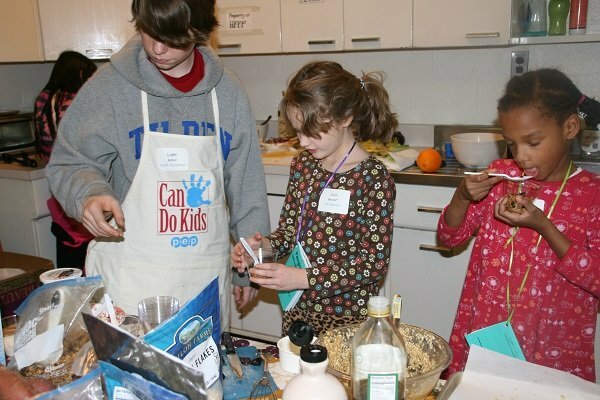 Think your kids wouldn’t go for Root Veggie Stew or collard wraps with lentil spread? Think again. 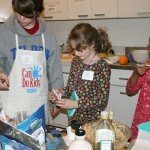 Kids devoured those and other delectable dishes they prepared themselves with the help of teen volunteers at the Can Do Kids Fair last Saturday. Kelly Bradley created the recipes and coordinated the “Good Eats” station at the fair, as she has done for three years. A licensed physical therapist, certified nutritional consultant and health coach, Kelly also teaches PEP’s workshop “Nourishing Your Kids and the Whole Family.” Like PEP, she has a new website, Kelly Bradley Lives Well, where she blogged about the fair and featured the Root Veggie Stew as her Recipe of the Month. Check it out!